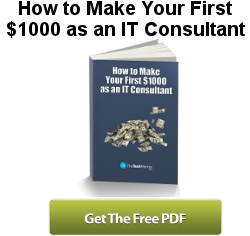 Every once in a while I will download a program that is contained in an ISO file. This is usually because the file was intended to be burned to a CD / DVD first before installing it. However, instead of having to burn it to a CD / DVD first, there are some great utilities out there that allow you to mount the ISO file directly in Windows. In the following article, I would like to walk you through using my favorite ISO mounting utility. And the best part is that it even works with Windows 7. 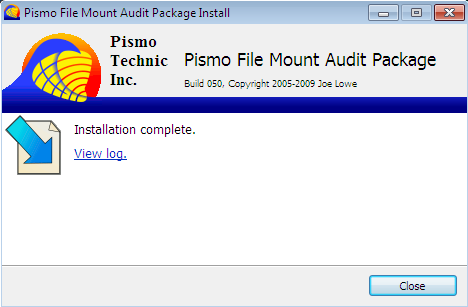 The first step is to download Pismo File Mount Audit Package and run it. You will notice right away there really aren’t any options when installing it. Just click the “Install” button to begin the installation process. Once the installation has completed, just click “Close.” There is no reboot required. 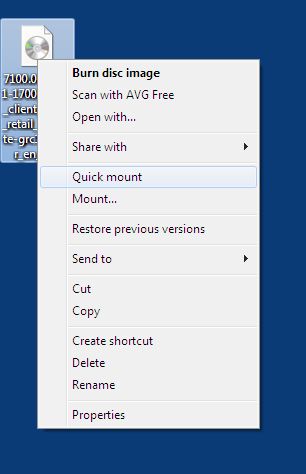 Now locate your ISO file, right click on it, and select “Quick mount.” Your ISO file will now be mounted and ready to use. There is also a “Mount…” option that has some options to choose from before mounting the image. 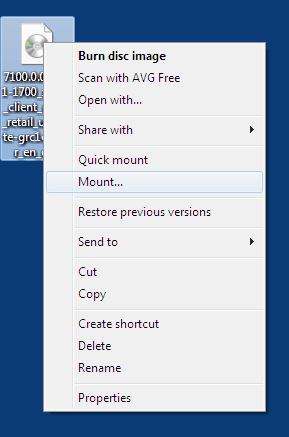 When you are ready to unmount your ISO image, just right click it and select “Unmount.” Simple as that. I’m really not sure why Microsoft hasn’t given us the ability to do this in Windows yet, especially in their latest version, Windows 7. But thanks to the Pismo File Mount utility, this is still an easy process. 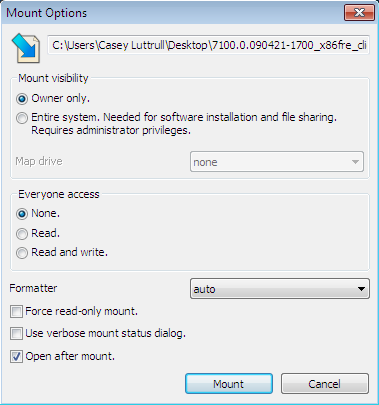 If you have a favorite ISO mounting utility, please feel free to share it. I’m not real familiar with Pismo, but I’ve always had great luck with Virtual CloneDrive from SlySoft. The new version works in everything from Windows 98 to Windows 7, and it supports ISO, BIN, IMG and several other formats. Just double click an image file to mount it. I think its rather telling on how lacking Windows is as an operating system that it has to get outside help to do what Linux can do out-of-the-box and internally with the STANDARD mount command and a STANDARD kernel feature. 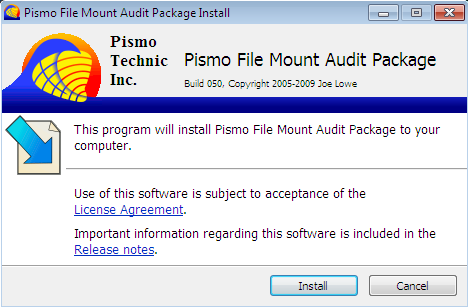 Is there iso tool work with VISTA-64 bit?